That looks like Ella May Davidson on the right. 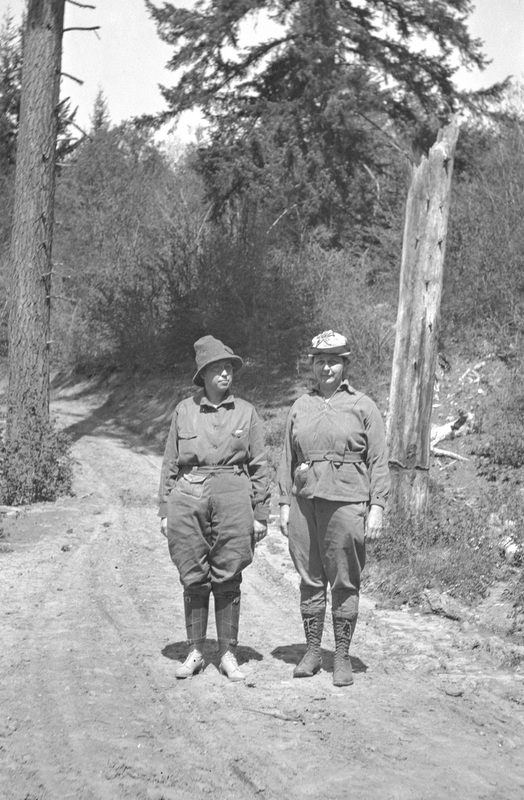 She and her companion appear to be dressed for a good long hike. Circa 1915. The main difference is that women back then wore mens' clothing to go outdoors. And today outdoor clothing specifically for women is the norm. Much more comfortable and better looking.